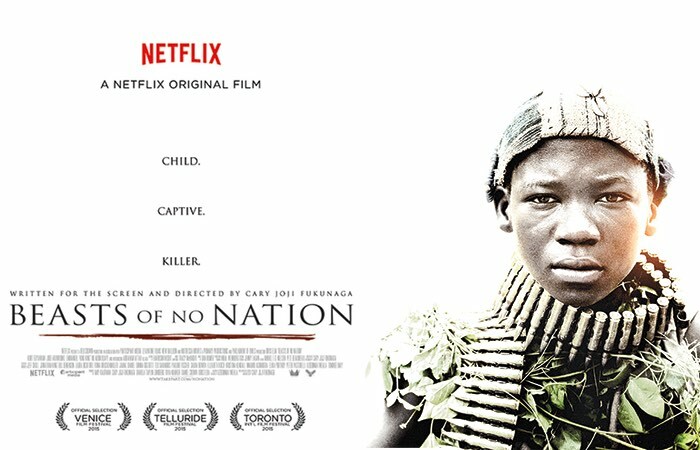 Beasts of No Nation – Did You See That One? Agu (Attah) sees his whole world turned upside down when the village he lives in is overtaken by a militant faction fighting a civil war. 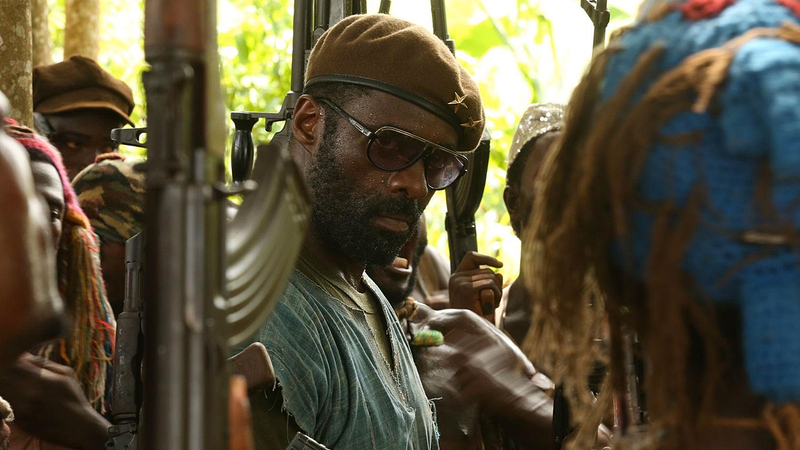 Now he’s part of the fight as one of the many child soldiers under the command of the unforgiving Commandant (Elba). This film is the latest feature to be released by Netflix. The story is based on the 2005 novel of the same name, written by Uzodinma Iweala. Cary Joji Fukunaga (Sin Nombre) worked on the screenplay for over seven years before taking on the role of director. The movie stars Abraham Attah (Out of the Village), Idris Elba (Avengers: Age of Ultron), and Ricky Adelayitor. This story is a faithful attempt to capture the horrors the people of many war-torn countries in Africa are experiencing. The film doesn’t specify on location, but uses some of the common events to sketch out the plot. The film lives in sadness, frustration, and a lack of humanity. While the movie is clearly seeking to make a point, the audience may suffer for it. While the story is compelling, it doesn’t find any moments to ease up. This makes the movie hard to watch since it seems determined to prove that it can always get worse. This isn’t badly written, and there are a lot of great moments. Overall, this one just might be too harsh for most audiences. The cast does a great job with the incredibly heavy parts they’re given. 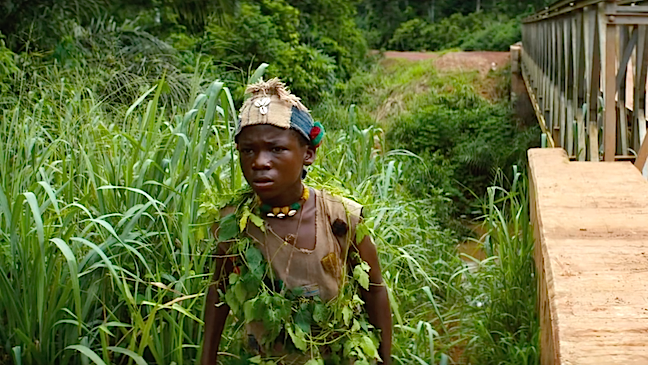 The youthful Abraham Attah does a nice job in his first role. Attah does a nice job not over-playing his part. Throughout the film Attah does a nice job handling the emotional moments. He also plays his part well opposite the rest of the cast. The most recognizable name in this one is Idris Elba. His performance as the Commandant is cold and calculating. The entire cast does a nice job bringing the harsh realities of this type of war to life. This movie looks really good. Much of the filming was done in Eastern Ghana, utilizing the natural beauty of the landscape as an excellent contrast to the story. 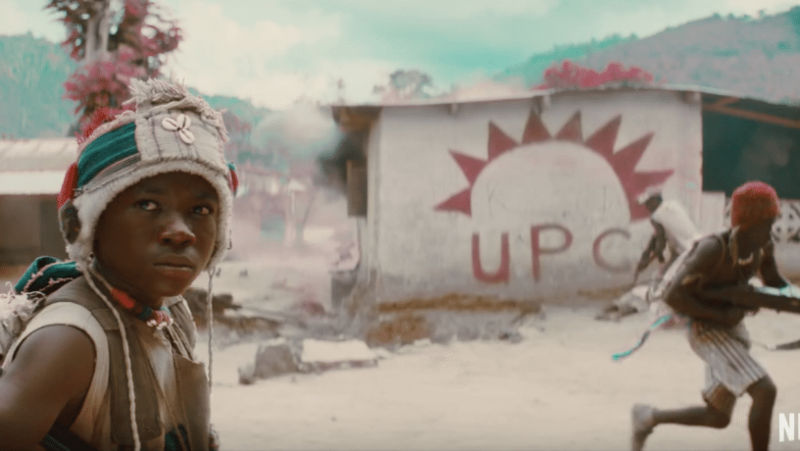 By intentionally avoiding naming a specific country the movie tries to make a statement about the evils of warfare across Africa. This works to some degree, but the overall experience is steeped in sadness and depravity. If you’ve appreciated films like The Last King of Scotland or Hotel Rwanda, this is one you should check out. The combination of the weaker story and the intense sadness, this is one that I have a hard time recommending. The length of the film also means that audiences will be mired in the sad nature of this movie for more than two hours. The length wouldn’t be a big issue if it wasn’t for the slow and grueling pace. 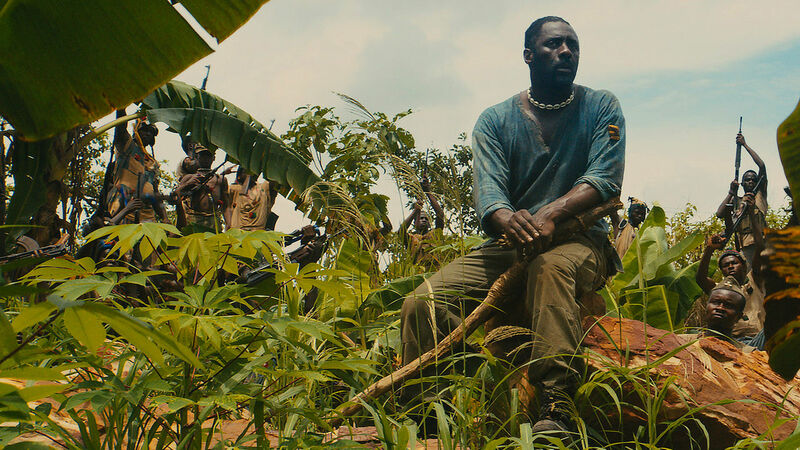 The acting does have some great moments, so fans of Elba might be a bit more motivated to check it out. I give this one 3.3 out of 5 stars. Pingback: RocknRolla | Did You See That One? Pingback: Molly’s Game | Did You See That One?